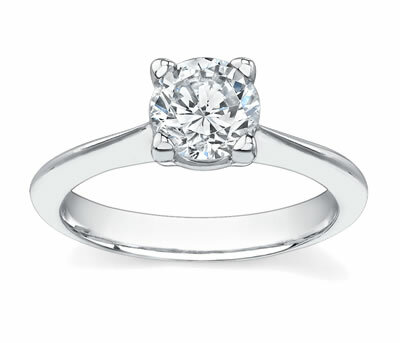 This simple band with a classic design is sure to never go out of style. 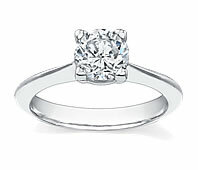 This softly tapered 14k white gold engagement ring gently glides the eye towards the center stone of your choice. This ring's simplicity allows for a wider variety of shapes and sizes of diamond to match perfectly with your personal sense of style!